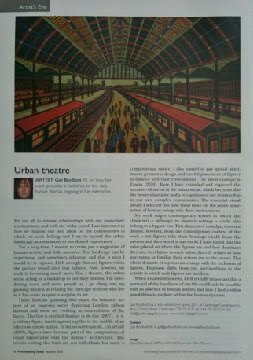 Here I am, in front of my linocut, on the 246-metre-long hoarding which has been installed on Blackfriars Bridge, where the eastern side of the pavement has been closed to pedestrians as part of the Thameslink Programme works to rebuild and extend Blackfriars Station over the next two years. 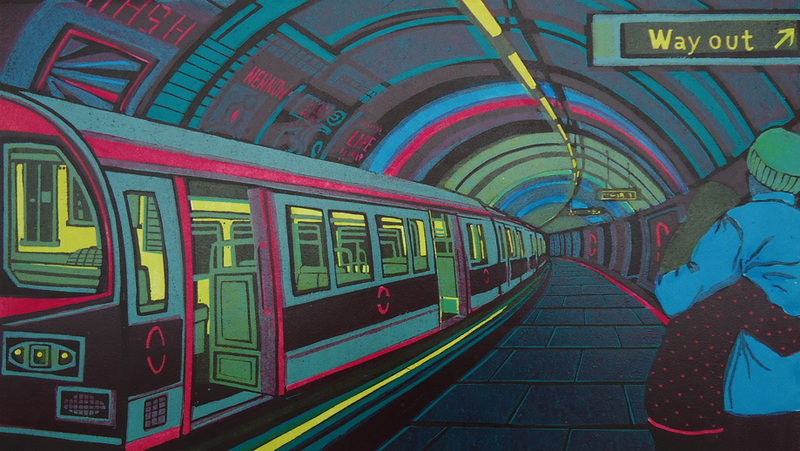 The hoardings have reproductions of four artworks displayed as part of a collaboration between Network Rail and the Bankside Gallery. 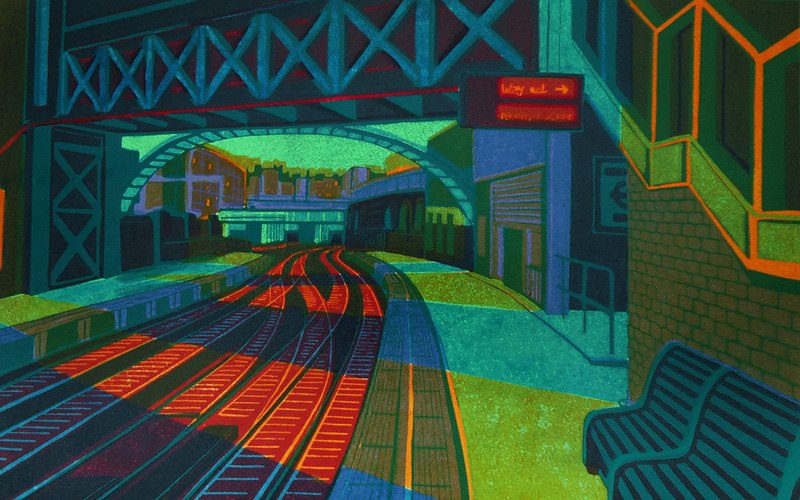 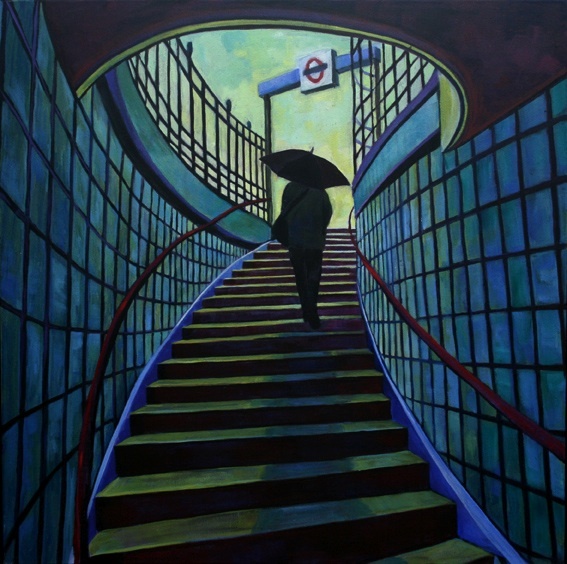 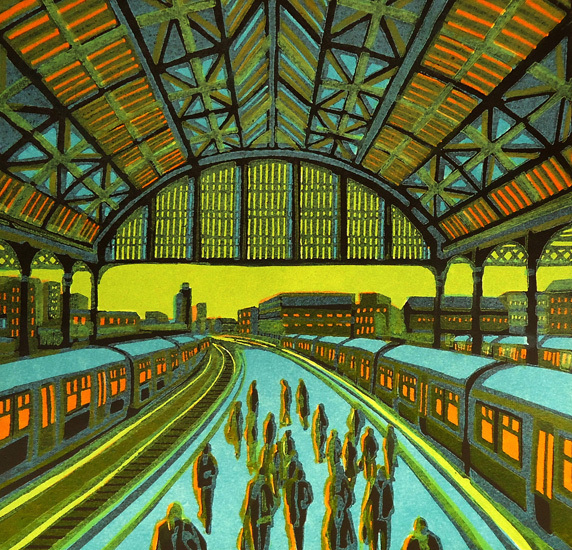 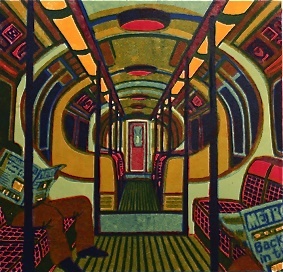 The print selected is called First Light at Farringdon and is available from Bankside for £220, unframed. 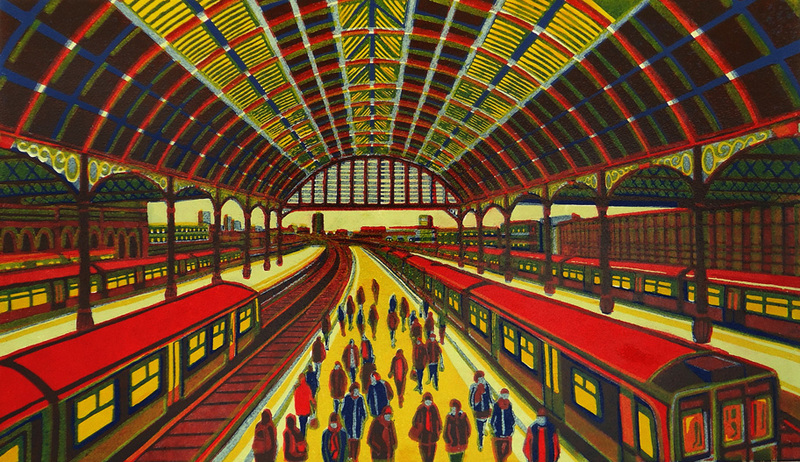 A card is also available to buy at all good shops and galleries.